Feeding horses during winter can be a tricky business! To help ensure they are getting all their nutritional needs, try these top tips from our in-house nutritional advisor Nikki McGee. The winter months can increase the time horses spend in the stable. To help encourage foraging behaviours and reduce the risk of stable vices such as wind sucking and weaving, try providing some additional fibre sources. 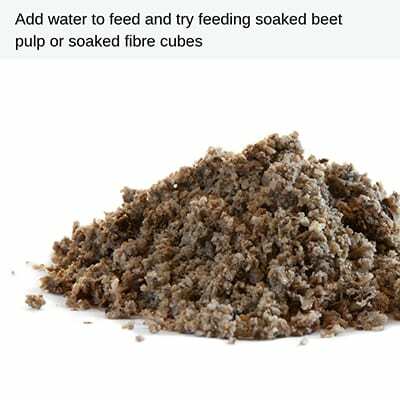 As well as hay and haylage, provide some alternatives such as chaff, soaked beet pulp and high fibre cubes. 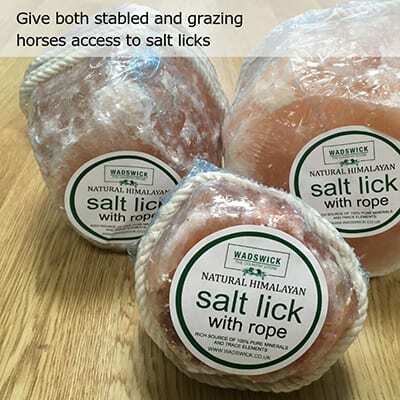 Spread these around the stable in separate buckets to encourage more natural foraging. 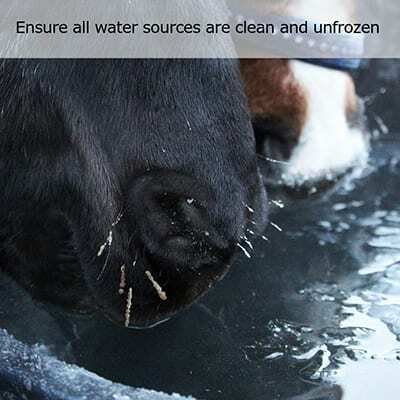 Horses tend to drink less water during cold weather (don’t we all!) but the equestrian digestive system requires a lot of water to help it work. Dehydration can lead to impaction colic. To help them along their way to getting the right hydration, try these top tips. Forage should form the foundation of horses’ daily requirements. During the winter months when the grass stops growing, diets should be supplemented with good quality hay or haylage. Fibre ferments in the hind gut providing warmth for the horse. Work on a guideline of 1.5% to 2% of body weight (7–10kg for a 500kg horse) depending on metabolism/workload. When horses are grazing in herds, it is a good idea to spread hay piles out, twice as many as the number of horses, to ensure that they all get their fair share and to prevent “fighting”. “Woolly” coats can disguise thin horses, as can rugs so check regularly! Don’t assume that horses are full if hay is left regularly. Make sure that the hay is not full of weeds or mouldy. The formula for winter is the same. Feed little and often and no more than 2kg hard feed per meal (1.5kg for a pony). Hay and winter grazing will not provide the same amount of nutrients as spring/summer grass. Feed according to workload and body condition. Consider a feed balancer for good doers. Consider feeding concentrate feeds high in fibre and oil to provide slow release energy, which will help to hold condition and to not accentuate excitable behaviour. Nikki McGee is the in-house nutritional adviser at Wadswick. If you would like to discuss any of Nikki’s tips further, please call her via the shop on 01225 810700. Nikki can offer feed consultations and advice in-store or over the phone, or if you have more than 5 horses she can arrange a yard visit with you.